VMware Horizon is a Virtual Desktop Infrastructure (VDI) product which allows customers to easily virtualize desktops and manage them. 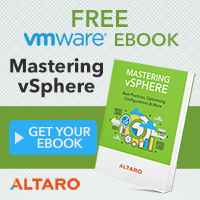 Besides its core VDI purpose, it delivers applications and allows for easy management. 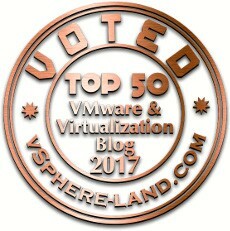 If you want to read more about Horizon View features please read it on VMware site: https://www.vmware.com/products/horizon.html. 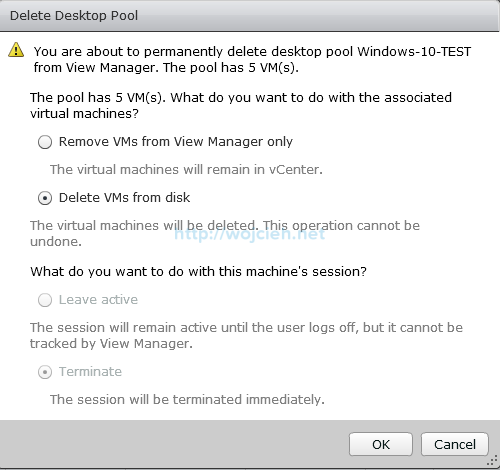 I am working with a customer on Horizon based VDI implementation and today I want to share with you how to fix Desktop Pool stuck in delete state. Whenever you delete Desktop Pool in VMware Horizon which is larger than ~20 desktops you might face the issue that the Desktop Pool will be stuck in deleting. This issue occurs mostly when you decide to delete the Desktop Pool with all corresponding virtual machines. I don’t think it has anything to do with vCenter Server or VMware Horizon Connection Server because both of them were idling in terms of CPU/RAM resource usage. http://vcdx56.com/2016/03/remove-horizon-view-desktops-pools-and-vms-stuck-in-delete-state/ Fix with the usage of the viewdbchk.cmd worked for me in one of the locations. Sometimes the solutions to fix some errors are easier than we think. I had one of the pool stuck in deleting for more than a week as I was busy with implementation of the VDI solution in other locations. By accident/luck, I clicked in Horizon View admin interface in Machines. While I was sorting the VDI’s looking for one particular I saw the VDI’s in deleting status. Eureka! I clicked on one of the VM’s and I was able to remove it from the inventory. I clicked Remove button and the new window opened where I was able to remove the virtual machine stuck in deleting from Horizon View Connection Server. Unfortunately, it isn’t possible to select all VM’s stuck in deleting mode and remove them, but one by one I was able to clean up the stuck Desktop Pool. I hope this information will be useful to you and you will be able to clean up your Desktop Pool stuck in delete state. Question regarding the article above. 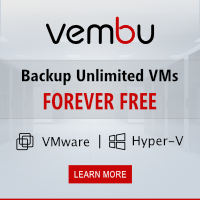 We have 1 vm that is stuck in deleting mode. I have tried EVERYTHING just short of locating and removing from databases. Is what you are saying is that we can leave it in the mode its in and it will (after how many days) let us delete from horizon view admin console? Yes, you can leave it in deleting “mode”. My solution didn’t help? I found the same issue in our environment. We had the Desktop Pool and two VM’s stuck in the deleting state. I noticed in the Monitoring/Sessions that two sessions were stuck as well. I tried to log those two sessions off. That didn’t work. 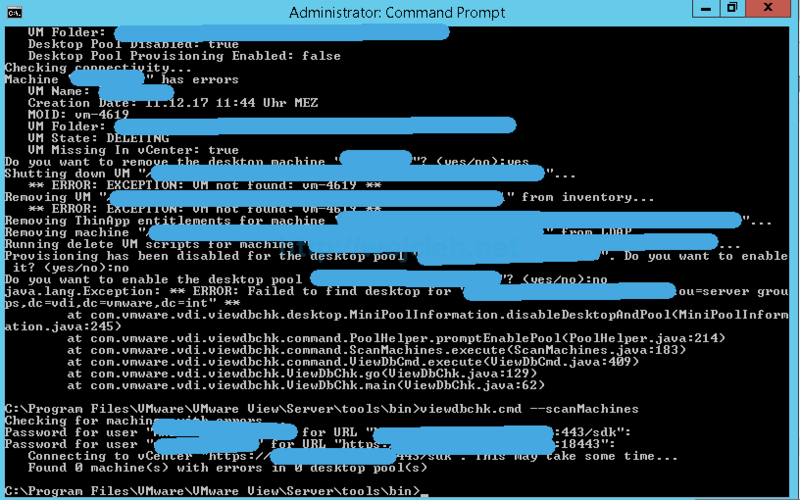 I shut the two VMs down from the vSphere Client and in the Horizon Admin page the sessions, VM’s and Desktop Pool all went away after refreshing.